Catalyzed by direction from Governor Brown in 2016, the update to the State of California Sea-Level Rise Guidance (Guidance) reflects advances in sea-level rise science and addresses the needs of state agencies and local governments as they incorporate sea-level rise into their planning, permitting, and investment decisions. The updated Guidance provides: 1) a synthesis of the best available science on sea-level rise projections and rates for California; 2) a stepwise approach for state agencies and local governments to evaluate those projections and related hazard information in decision-making; and 3) preferred coastal adaptation approaches. 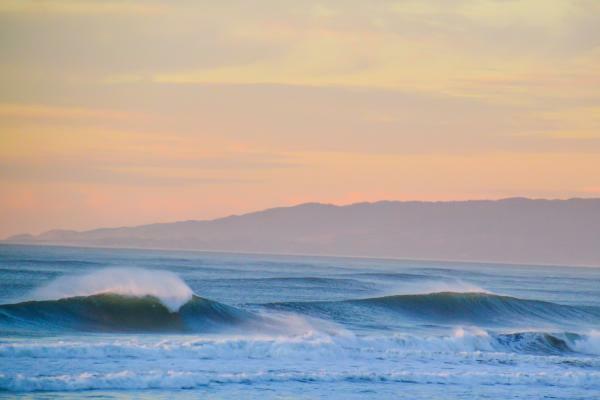 The update to the Guidance was developed by the California Ocean Protection Council (OPC), in coordination with the California Natural Resources Agency, the Governor’s Office of Planning and Research, and the California Energy Commission. This policy document relies on the scientific findings from a recently released report from the OPC’s Science Advisory Team entitled “Rising Seas in California: An Update on Sea-Level Rise,” which synthesized the current state of sea-level rise science, including advances in modeling and improved understanding of the processes that could drive extreme global sea-level rise as a result of ice loss from the Greenland and Antarctic ice sheets. To ensure that the Guidance was understandable and useful for local and state decision-making, the update process included extensive public outreach, with interviews, listening sessions and public workshops. Close to 400 coastal stakeholders from city, county, and regional government entities, consulting groups, non-profits, state and federal agencies and tribal representatives provided input that helped shape the framework for the Guidance update and associated web resources (which will be available on the State’s Adaptation Clearinghouse and OPC’s website in early 2018). The public comment period on the draft Guidance was open from November 15, 2017 through December 15, 2017. Staff have incorporated feedback where possible and have prepared the final draft for adoption at the Ocean Protection Council’s March 14, 2018 meeting. The State of California Sea-Level Rise Guidance Document, initially released in 2010 and updated in 2013, provides guidance to state agencies for incorporating sea-level rise projections into planning, permitting, investment and other decisions. Now, the California Ocean Protection Council and the California Natural Resources Agency, in collaboration with the Governor’s Office of Planning and Research, California Energy Commission, and the California Ocean Science Trust, are updating this statewide guidance to reflect recent advances in ice loss science and projections of sea-level rise. The updated guidance will focus on the needs of state agencies and local governments. It will help cities and counties as they comply with a new law that requires them to incorporate climate change into their planning efforts. The updated guidance document will also assist state agencies prepare for, and adapt to climate change, as directed by Governor Brown’s recent Executive Order. The California Ocean Protection Council partnered with the California Ocean Science Trust to lead the scientific component of the update and to convene an OPC Science Advisory Team Working Group. The Working Group compiled and reviewed the latest climate research, including considering the implications of recent scientific advances on ice loss dynamics for updating sea-level rise projections. The Working Group included subject-matter experts in coastal processes, risk assessment, climatic change, ice loss and ice sheet behavior, and statistical modeling. The Working Group integrated the latest findings from the peer-reviewed scientific literature into a science report that helped inform the guidance document update. This science report was presented to the California Ocean Protection Council at its April 2017 meeting. Rob DeConto, University of Massachusetts. Input from users of the guidance document was solicited at multiple points throughout the update process. In February through April 2017, an Engagement Team led by Susanne Moser Research & Consulting and Climate Access, a not-for-profit organization, conducted interviews and listening sessions to better understand the needs of those who will use the guidance document. After an initial round of 25 one-on-one interviews, 5 listening sessions were conducted to learn more from a wider set of stakeholders. This input helped ensure that the updated guidance is understandable and useful for planning and decision-making. Each listening session was oriented toward a particular set of planners and managers and focused on support for planning and decision-making processes, governmental coordination, dealing with uncertainty and trade-offs, and engagement needs. In summer 2017, the California Ocean Protection Council and California Ocean Science Trust, with support from the Engagement Team, convened a series of public workshops with state, regional, and local stakeholders to share the science findings and to solicit feedback on how stakeholders will utilize the guidance document. These workshops took place in San Diego, Los Angeles, San Francisco, and Eureka, and public input on the guidance framework helped shape the updated draft policy guidance document. February – April 2017: State agency, local government and stakeholder engagement: interviews and five listening sessions.